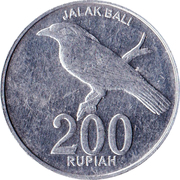 Bali mynah bird on a branch, left, denomination below, local name above. 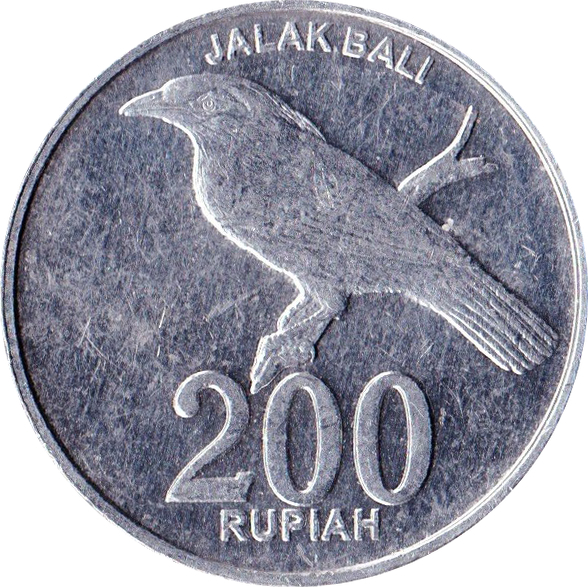 The Bali myna (Leucopsar rothschildi), also Rothschild's mynah, Bali starling, or Bali mynah, locally known as Jalak Bali, is endemic to Bali. 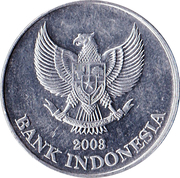 Minted in Perum Percetakan Uang Republik Indonesia (National Mint of Indonesia) in Jakarta. 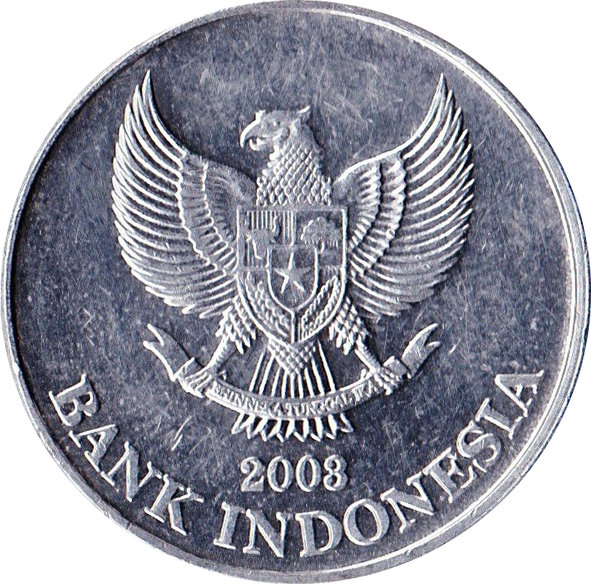 The typeface of the date often makes 2003 look like 2008.